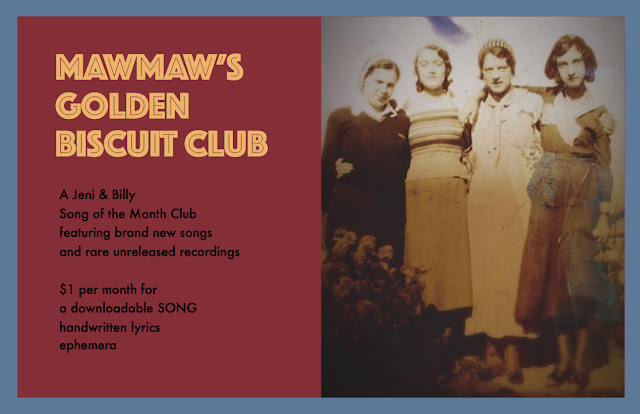 Mawmaw’s Golden Biscuit Club is a "Song of the Month" club where Jeni chooses something brand new or something from the Jeni & Billy vault to share with our fan club. The cost is $1 USD per month to join! Or if you pledge more, you can even get button, tunes made just for you, guitar or banjo lessons, or a handmade quilt by Jeni! Since the fan club started back in May, I’ve posted a new song we recorded in a medieval church in Barwick-in-Elmet, England. I’ve shared another new song we wrote about mountaintop removal which is slated to be the title track for our upcoming album. I unveiled a brand new country song we wrote in honor of my grandmother (the Mawmaw of Mawmaw's Golden Biscuit Club), and I released a rare track from our original Jewell Ridge Coal recording sessions with 8 time Grammy award winning producer and engineer and all around musical guru Bil VornDick. During July of 2015 we reached our first Milestone goal of $100 per month in fan club support and each member received a special Uncle Roy Lee postcard in the mail as a little thank you gift, just like back in the decoder ring days. We’ll be doing more fun stuff like that! We’ve made this club so that we can share new and rare songs with you, and so that we can give you a peek into our creative process. I’ve always LOVED behind the scenes stuff, myself! 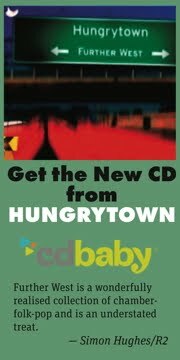 I'll be posting the handwritten lyrics from the songs, photos, ephemera and an essay about what inspired each song. You'll be able to download all of this for your Jeni & Billy collection! Where does this all happen?